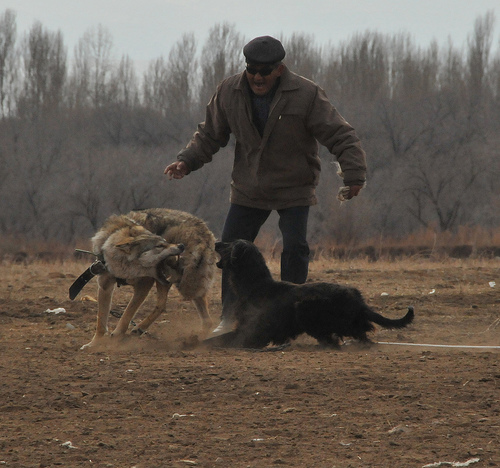 Kyrgyzstan: “Festivities range from eagle hunting of pheasants; Taigen also known as Kyrgyz hunting dog racing; to wolf baiting” – Petition Link Given Below. We can not tolerate such barbaric acts. 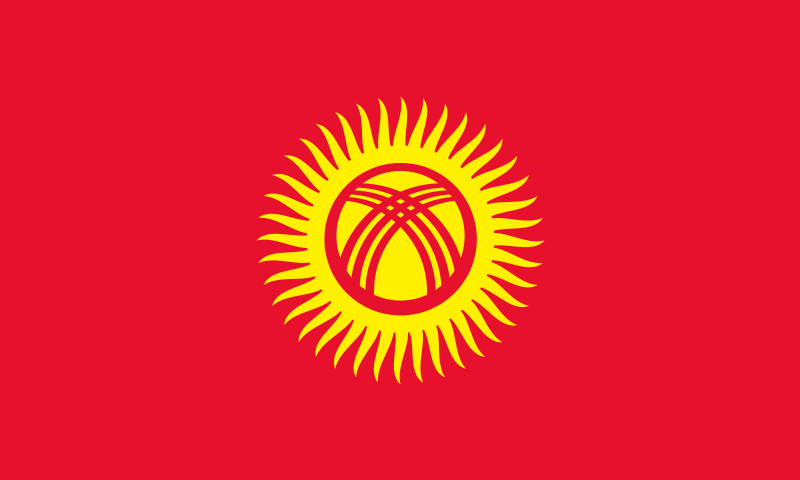 This return to archaic and cruel tradition is a disgrace for Kyrgyztan. These noble animals deserve respect and protection of their population! 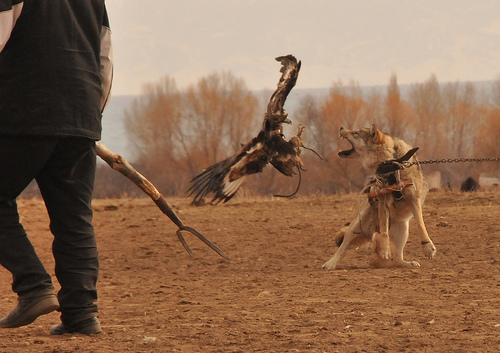 This 2 day festival on the northern shore of Lake Issyk Kul in the town of Cholpon-Ata draws the regions best hunting dogs, eagle hunters, and falcon handlers in all of Kyrgyzstan. 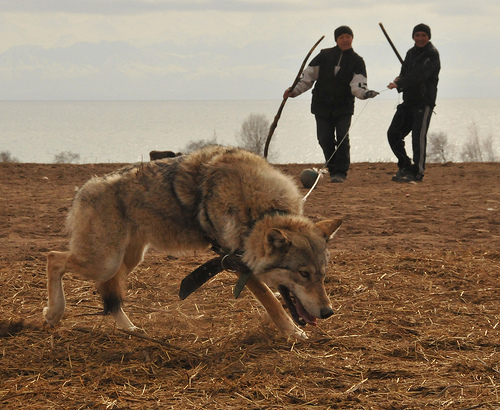 Festivities range from eagle hunting of pheasants; Taigen also known as Kyrgyz hunting dog racing; to wolf baiting. These long standing traditions have an important place within Kyrgyz culture and reflect their nomadic past. Such festivities reflect the Kyrgyz people’s nomadic past. The final event of the festival is only opened to the most respected Berktuchi and Taigen who must hunt a live wolf. This fierce and sometimes gory battle frequently results in mortal wounds. 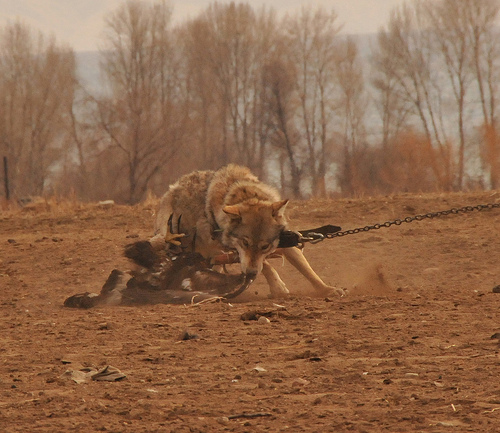 For the sake of sportsmanship, festival officials attempted to place a bit in the wolf’s mouth to no avail, settling for a heavy chain tethering her to a lead weight. Within rural communities, Kyrgyz have long raised Taigen and trained Eagles to protect both the lives of their livestock and family. 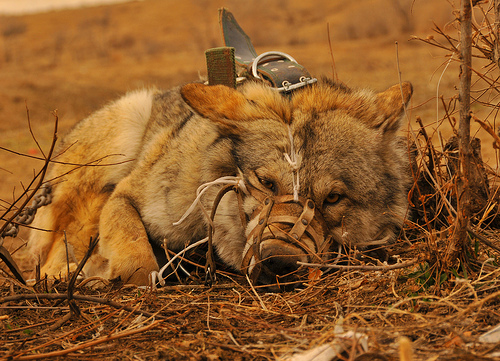 This captured wolf was responsible for killing 68 sheep, 20 cows, and 17 horses. Such an unfathomable number of lost cattle and sheep is enough to impoverish any community. To whom it must concern. I’d like to refer you to the article I read about the 2 day festival in February on the northern shore of Lake Issyk Kul in the town of Cholpon-Ata which draws the regions best hunting dogs, eagle hunters, and falcon handlers in all of Kyrgyzstan. The final event of the festival is only opened to the most respected Berktuchi and Taigen who must hunt a live wolf. This fierce and sometimes gory battle frequently results in mortal wounds. For the sake of sportsmanship, festival officials attempted to place a bit in the wolfs mouth to no avail, settling for a heavy chain tethering her to a lead weight. I know that within rural communities, Kyrgyz have long raised Taigen and trained Eagles to protect both the lives of their livestock and family. I fully agree that their sheep, cows and horses need protection, but there are other ways to do this. 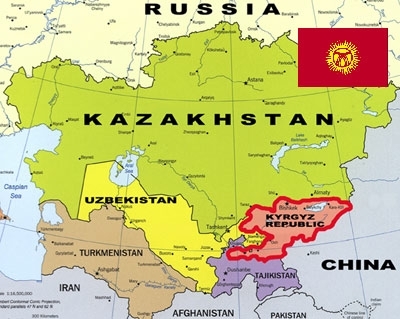 But this killing has nothing to do with protection but has a long standing tradition within the Kyrgyz culture and reflects their nomadic past. For them the hunting is a sport. And not only the lives of the wolves are at stake, but also that of the dogs, the hawks and eagles. 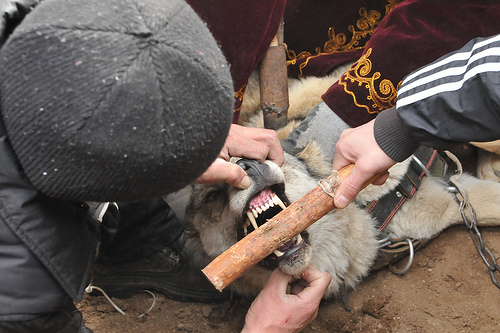 These animals are abused to the glory of the Kyrgyz. Such barbaric traditions can not be tolerated. experience the desire to live free from exploitation and suffering and fear the manifestation of death. Humans have adopted dangerous constructs of speciesism, the prejudicial regard of non-human species, to validate the brutality inflicted upon them. Using this manufactured status of superiority, humans have sanctioned the use of animals as commodities, regarding them only as products to benefit our goals and needs. We embrace inequity to justify our treatment of animals, yet euphemistic descriptions meant to facilitate morality cannot disguise the fundamentally unethical parameters with which we surround ourselves to distinguish our dominance. As dangerous as racism and sexism, speciesism further divides the chasm between species, which desensitizes us to cruelty and inevitably leads to human inequality and injustice. Furthermore, it is also important to recognize the potential environmental ramifications of such a species decline; the ecology is a delicate entity whereby all elements work with and amongst each other in symbiotic manners; any one imbalance will cause negative influence throughout all species, plant and animal. It is therefore ecologically necessary that you acknowledge your contribution to this damage and adopt immediate measures discontinuing such. Although you may not consider the wolves as having essential worth, they value their own lives, and your blatant disregard not only has broad consequences outside your borders, it also has potentially criminal repercussions based on established EU protocols; you should be aware that in surrounding areas wolves are protected species. The hunting and killing of this vulnerable group of beings is unacceptable, and the celebratory nature with which the slaughtered animals are displayed is indicative of only self-serving indulgence. This return to archaic and cruel tradition is a disgrace for Russia. Das ist Barberei auf höchster Ebene. Wie kann man einem fühlenden Wesen so etwas antun. Pfui – das ist menschlicher Abschaum.